The publication of legal information on a website may give rise to special risks. This legal information disclaimer template has been created to help with the management of those risks. 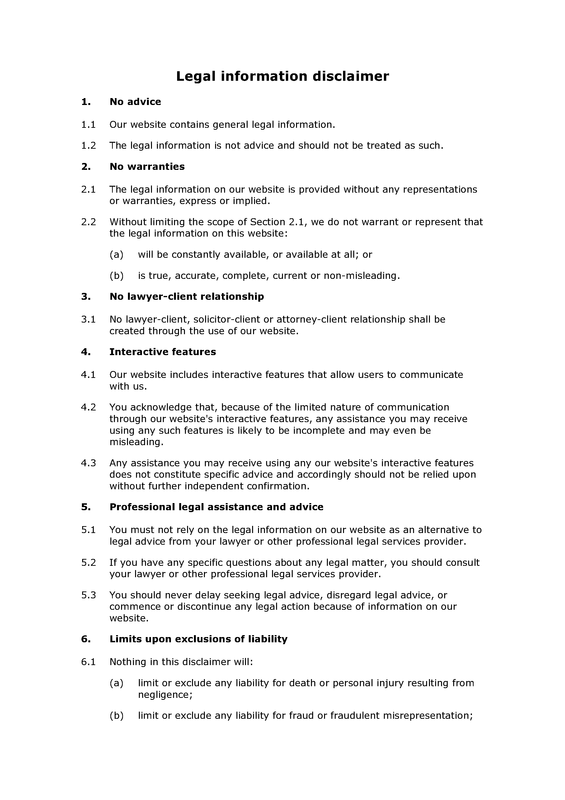 The provisions in this disclaimer include the following: (i) a notice that while legal information is provided on the website, no advice is being given; (ii) an exclusion of warranties and representations in relation to the legal information; (iii) a notice that no lawyer-client relationship can be created through the use of the website; and (iv) a clause covering interactive features on the website. 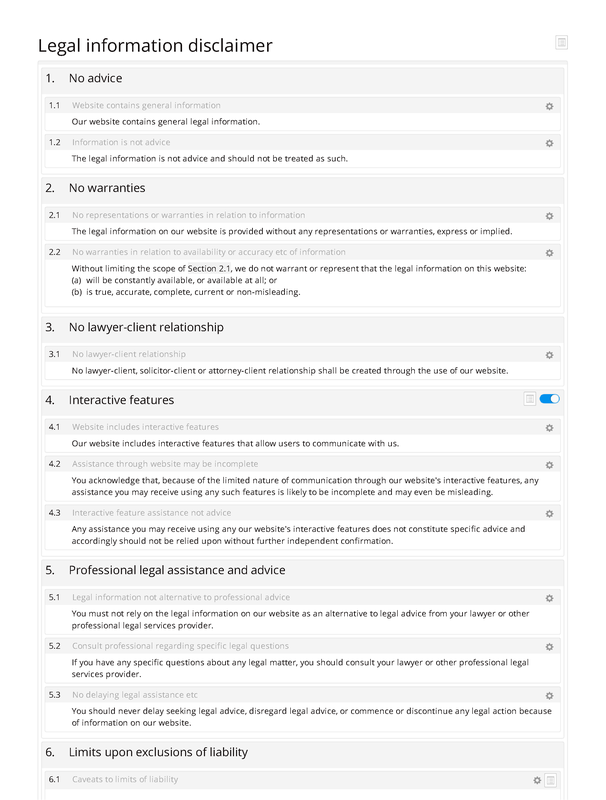 The legal disclaimer may, where appropriate, be incorporated into a more general legal document (eg website T&Cs of use). As with all disclaimers of liability, there is a risk that the courts may rule that the disclaimer provisions are unenforceable, and the use of a disclaimer should be only one of the steps you take to manage the risks associated with publishing legal information.